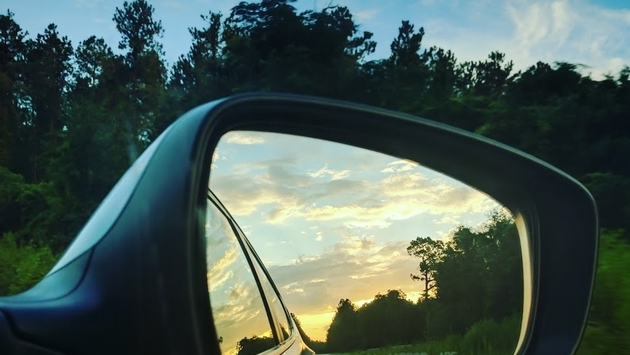 While taking selfies or photos of your surroundings on a road trip can be fun, playing actual games and interacting with your car mates will help the time go faster. Everyone has their opinion when it comes to long car rides. Some of you may love a good road trip, while others see it as a necessary evil to get to their destination. No matter where you stand, though, there's a myriad of games and activities for you and your family and friends to play and help pass the time while on a long road trip. As many Americans hit the road this President’s Day weekend, here are some of our favorite games to play in the car. A classic game and still fun for all ages, one person starts off with “I spy with my little eye something (insert here)” followed by what they view. Everyone else in the car then takes turns guessing what object the Spy saw. Another standard road trip game, 20 questions is simple and great for kids to play along. Think of a person, place or thing, and then the rest of your squad takes turns asking questions that can be answered with a yes or a no. Connect actors and actresses to the movies they’ve starred in. The first player names an actor or actress, the second player names a movie said actor or actress was in. Then, the next player must name a different actor or actress in that movie. Repeat the cycle, and if somebody picks incorrectly, they must sit out until the next turn. An example: Matt Damon, “Good Will Hunting,” Robin Williams, “Aladdin” etc. If you’re not a huge movie buff, expand it to include TV shows as well. A trickier game than most, the “Lyric Game,” or “riff off” as some may call it, is a fun way to keep everyone entertained in the car. Player one starts by signing a lyric from a song, and then player two interjects with a new song lyric that is connected to a lyric from player one’s song. Also referred to as “Broccoli or Cauliflower” in some circles, this game may seem simple, but it depends on who is participating. A savvy player will pit two extremely difficult things to choose from. For example, you could start by asking players “Would you rather eat only pizzas or only tacos for the rest of your life?” Once everyone has given their answer, the next player asks a different would you rather question and the game continues. The difficulty can come from when someone asks something challenging or gross, such as “Would you rather have no fingers or have no ears?” Nobody really wants either, but the game forces you to decide. It’s a good way to get to know folks too. Another simple game that can be played for the duration of the road trip, the “License Plate Game” is for the whole car crew. As your trek rolls on, write down the different states you see on various cars’ license plates. The goal is to get all 50 states, but that is no easy feat, so feel free to carry it over on the drive back home. Bonus points to whoever finds the funniest vanity plate as well! The goal here is to go through the entire alphabet, in order, using words you see on signs. License plates are not allowed, so stick to the billboards, road signs and business signs. The first one to go from A-Z wins. Depending on who you’re with, they might let you extend the rules to objects you spot outside, but for the most part, this game is all about the signs. Also known as “Padiddle,” this is a fun one to play at night. Throughout your car trip, as you see cars passing by, if one of them is missing a headlight, shout “Popeye!” and you gain a point. You can set the rules how you’d like in your own car, but traditionally it’s one point per Popeye, negative points for incorrect shouts, two points for a “Popeye on a Semi,” which is a missing headline on an 18-wheeler semi-trailer truck. And for the be all end all, if you spot a “Popeye” on a police car the game is over, and you win.